Because we have such a warm and tropical climate, succulent plants do very well here on Kauai. I found this one while on a stroll through my neighbor's garden. I just love the way it glows when the light hits it! 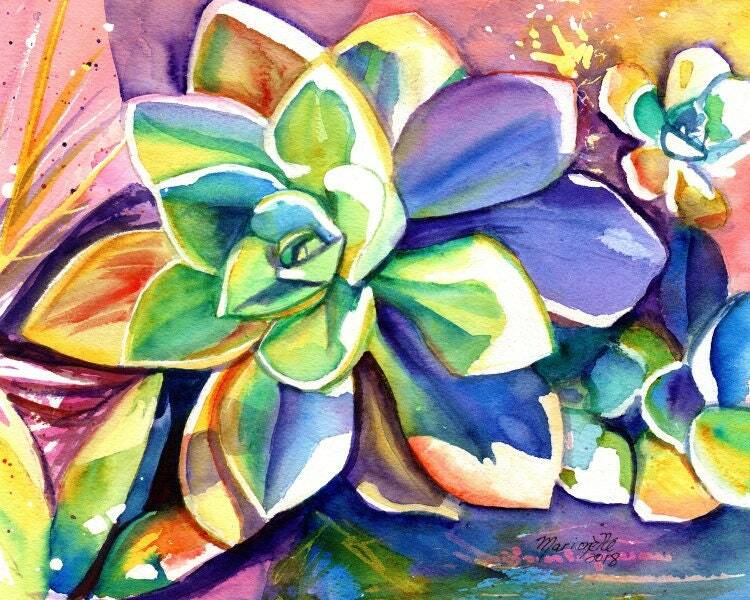 "Sunny Day Succulents" This giclee print is signed by the artist and is printed with archival inks on radiant white watercolor paper. It is a reproduction of an original watercolor painting and comes packed in a clear sleeve with a backing board (unframed). Colors may vary slightly from monitor to monitor.